Chiefly found along riverine areas, common food plants are species of Lomandra which are being widely planted in gardens. Mature larvae brownish or pinkish green with a whitish coating, head mottled brown and black with black stripe. 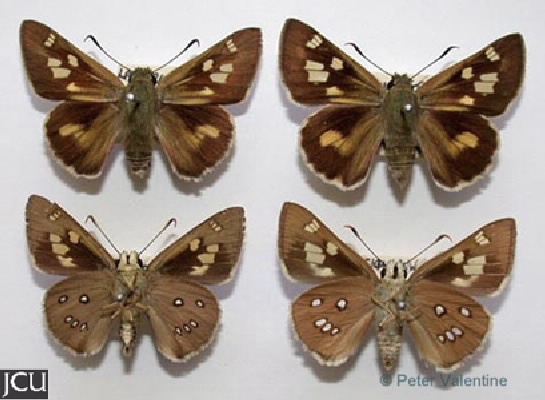 Adults are basically brown with several large white to cream spots.